Dubai, United Arab Emirates, April 11, 2019 – The Asbestos Disease Awareness Organization (ADAO), an independent non-profit dedicated to preventing asbestos exposure, announced the launch of the 15th Annual ‘Global Asbestos Awareness Week, (GAAW) April 1-7, 2019. Global Asbestos Awareness Week is dedicated to awareness and prevention, with each day featuring educational resources from leading organizations, guest blogs, videos, and asbestos victims' stories. The week culminates on April 7th with an online, worldwide candlelight vigil. This year GAAW will once again feature the 30-second animated public service announcement (PSA) video: “Asbestos: The Killer You Can't See,” that captures the tragic reality about deadly asbestos. Through hand-drawn animation by Chocolate Moose Media (CMM), the PSA reveals how a young girl loses her father to asbestos, highlighting the insidious and nearly invisible fibers. In addition to English, the PSA is available in five other languages— Russian, Hindi, Portuguese, French, and Spanish — in order to reach new populations, especially in nations who continue to mine, use, and export asbestos. It is also available in a mobile-friendly format. Asbestos is a known carcinogen and there is no safe level of exposure. Since the19th century, asbestos was widely used in construction, shipbuilding, and the automotive industry. Without a ban, asbestos remains legal and lethal. Nearly 200,000 people die each year from preventable asbestos-caused diseases. 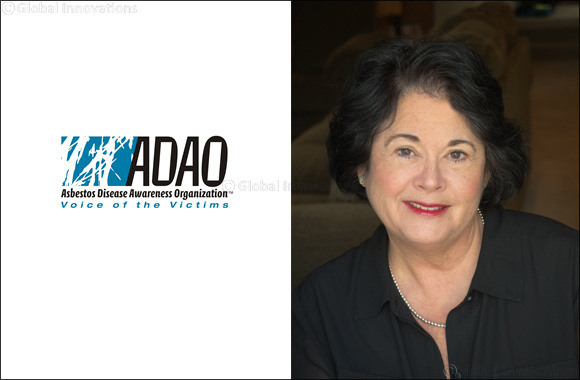 Since its founding in 2004, ADAO has worked with the U.S. Senate to unanimously pass fifteen Asbestos Awareness Week Resolutions and secured five U.S. Surgeon General asbestos warnings in an effort to prevent exposure, to help eliminate deadly asbestos-caused diseases.